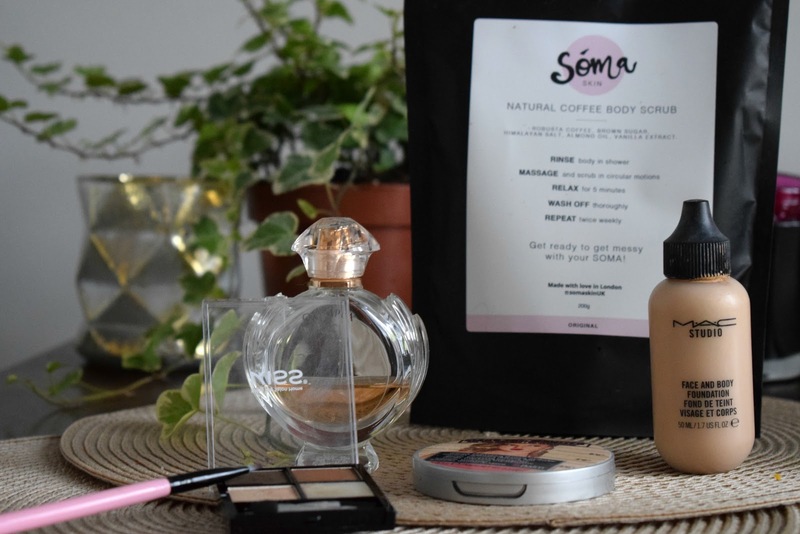 This months favourites include a couple of new to me products and some I've had a while, but recently found a new love for. I'll start with the newbies, Kiss beautiful brow kit*, now I'll be honest when I received this I wasn't expecting to be bowled over. I usually just use a pencil to fill in my brows rather than a powder, but I gave it a whirl, and now I use it everyday to do my brows. I use the darkest shade with a slanted brush, I'm loving the results, it gives a far more natural fuller brow than with a pencil, and it's just about dark enough. 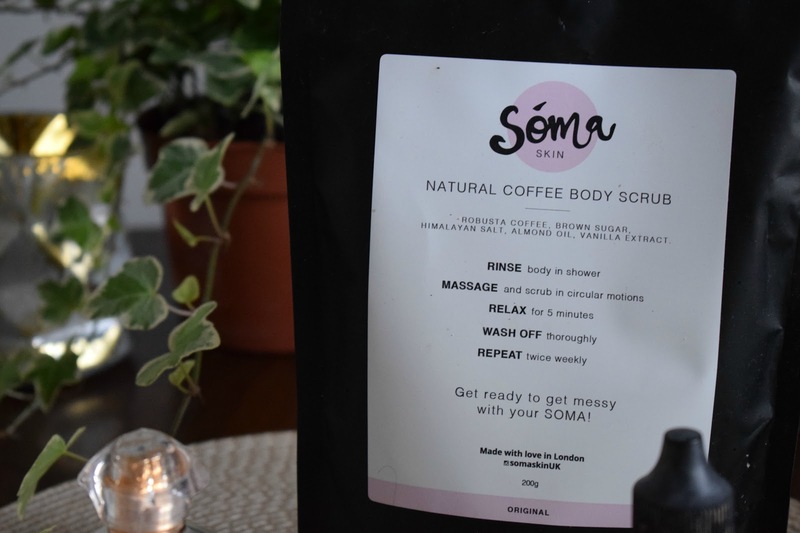 Another new kid on the block is Soma skin* coffee body scrub, hands down this is my favourite body scrub, it smells amazing and leaves my skin so soft, I can't get enough of it, you can read my full review here if you like the sound of it. I recently tidied through my beauty products and rediscovered a perfume that seemed to find it's way to the back of the shelf, Paca Robanne Olympea, I'm rubbish at describing scents, this is a slightly floral but not heady fragrance with hints of vanilla, told you I was rubbish, just go give it a sniff next time your in store. 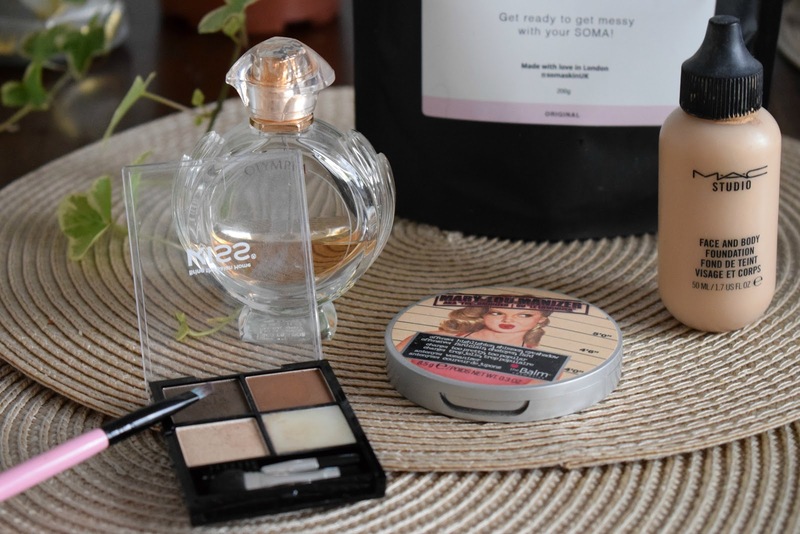 Lastly two makeup products I have been reaching for loads in January are Mac's face and body, for me this is a perfect everyday, don't wanna wear to much makeup base, that gives a sheer dewy finish to my skin, and The Balm Mary Lou Manizer highlighter. I've had both ages but recently started using them together to give my skin the perfect glow. Have you tried any of these products? I would love to know your thoughts. Great favourites! I really want to try the brow kit!